NOTE: This review was originally published on January 3, 2012. It has been updated to include the new blu-ray release. 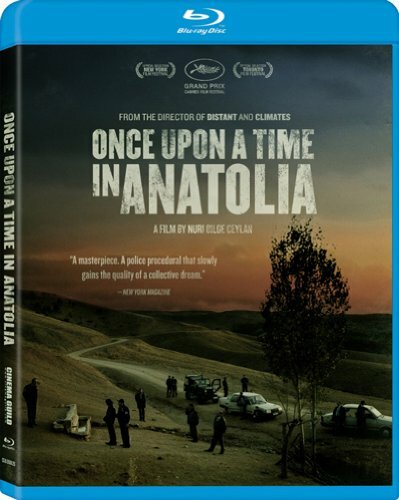 The title of Nuri Bilge Ceylan's Once Upon a Time in Anatolia suggests something like a fairy tale. And perhaps somewhere at some time to some one it will be, a tale told to a wide-eyed child on a father's knee, asking for stories of the good old days. At least that's what the characters muse about when faced with its bleak events. But the events they are faced with are anything but childrens' stories. The film centers around a group of lawmen driving aimlessly through the dark, escorting a murder suspect to the scene of the crime in order to exhume his victim's body. The problem is the suspect doesn't remember where he buried it, and in the dark all the locations look pretty much the same. So this solemn caravan travels from place to place seemingly searching for a needle in a haystack. Along the way the men share stories from their lives, getting to know each other on this long, grueling night. What they don't know, is that this night will resonate for the rest of their lives. Perhaps not in the fairy tale way they joke about, but internally, in ways they may not realize at first. Nuri Bilge Ceylan's "Once Upon a Time in Anatolia." Once Upon a Time in Anatolia is a modest, carefully crafted meditation on truth. Each of its characters are on a journey of discovery, but what makes it so compelling is that no one actually knows it. For everyone involved, this is just another day at the office. You won't find any Hollywood "self discovery" cliches here. No one sets out to find themselves or anything so cliché as that. But what at first seems to be part of the routine in retrospect is anything but. By the end of their trip these men will be forever changed, their perception on truth and the necessity of lies will be completely altered. Once upon a time in Anatolia, a group of men ventured out into the countryside, and they were never the same again. Ceylan directs with such understated grace that its shifts in tone are almost imperceptible. It is at once a dark comedy and a cerebral examination of essential human truths. 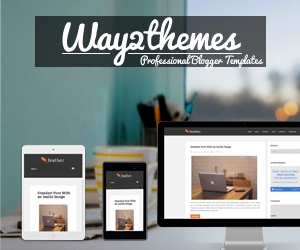 It's a slow burner and casual viewers my find it tough going, but the rewards it offers are great indeed. It does drag a bit in the second half, but as Ceylan reveals subtle meanings of his work it becomes more and more engrossing. There are no "twists" per se, but each new gradual revelation feels momentous, as if the audience is joining the characters on their spiritual and intellectual journeys. It's a deep and complex narrative that reveals itself slowly, taking its time to observe rather than push itself into any kind of unnecessary drama. Ceylan allows the narrative to unfold organically, as the audience slowly reaps its rewards. Each new discovery is as pleasurable and as thought provoking as the last, adding up to a deeply resonant cinematic experience that continues to grow in estimation upon further reflection. Ceylan, the auteur behind such films as Climates and Three Monkeys, makes films that don't seem like much at the time, but the more they are reflected on the stronger they become. The essential truths his characters discover may seem small, even simple, when viewed on a personal level, but their ramifications are tremendous. Firat Tanis (Murder Suspect Kenan) in "Once Upon a Time in Anatolia." They're the kind of universal revelations one can easily apply to their own lives, and that's what makes Once Upon a Time in Anatolia such a treasure. Anatolia could be anywhere, it's protagonists could be anyone. It's characters find comfort in lies when the truth brings impossible pain, and that is the conundrum at the film's quietly naturalistic heart. At what point does a lie become a mercy? Is ignorance really bliss? In a never-ending search for truth, when is a falsehood more of an inherent good than the truth? Even at two and a half hours long, Ceylan weaves a gripping drama that exists in the mythical gray areas between truth and lies, exploring probing questions in endlessly fascinating and enthralling ways. Like a modern day fairy tale it comes with a moral, but unlike the fairy tales we know today this moral doesn't come tied with a bow. It is meant to be contemplated and reflected upon. It's a question, not an answer. But on the lonely back roads of Anatolia, the answer we're looking for may not be the truth at all. BLU-RAY ADDENDUM: Much like the film it features, Cinema Guild's blu-ray release of Once Upon a Time in Anatolia is thoughtful and complex, a comprehensive collection of features that enhance the film rather than simply take up space on a disc. It's a gorgeous transfer, the company's best yet, but what impresses the most is their refusal to stuff their discs with filler. The centerpiece is a 95 minute behind the scenes documentary that takes an intimate look at the making of the film. Using home video footage as well as interviews with the cast, the doc eschews the typical platitudes and hyperboles of making-of featurettes and offers a fly on the wall glimpse at how the movie was really made. For those looking for a more scholarly analyzation of the film, look no further than "Lost in Thought," a visual essay by Haden Guest, director of Harvard's Film Archive. Guest dissects the film piece by piece, not only examining its themes and construction, but how it fits in the grand arc of Ceylan's oeuvre as well. An extended interview with the director and 48 minutes of footage from the Cannes Film Festival round out the disc, which stands as a glowing testament to one of this year's best films. With Bela Tarr's The Turin Horse also debuting on blu-ray in the coming weeks, the Cinema Guild is on fire, more than earning their place as one of the world's most exciting indie disturbutors. ONCE UPON A TIME IN ANATOLIA | Directed by Nuri Bilge Ceylan | Stars Muhammet Uzuner, Yilmaz Erdogan, Taner Birsel , Ahmet Mumtaz Taylan, Firat Tanis, Ercan Kesal | Not rated | In Turkish w/English subtitles | Opens Wednesday, January 4, at the Film Forum in NYC.